This holiday season, we’re all about great ticket deals and awesome live experiences to share with the ones we love. So we’re bringing you Holiday Ticket Deals. Give the gift of LIVE and save up to 50% on event tickets for everyone on your list. Whether they’re into music, sports, theater or family events, you’ll find tons of great local events they’ll love, at a price you’ll love even more. And with all that money saved, go ahead and treat yourself to a little stocking stuffer, too – we know you’ve been good this year. 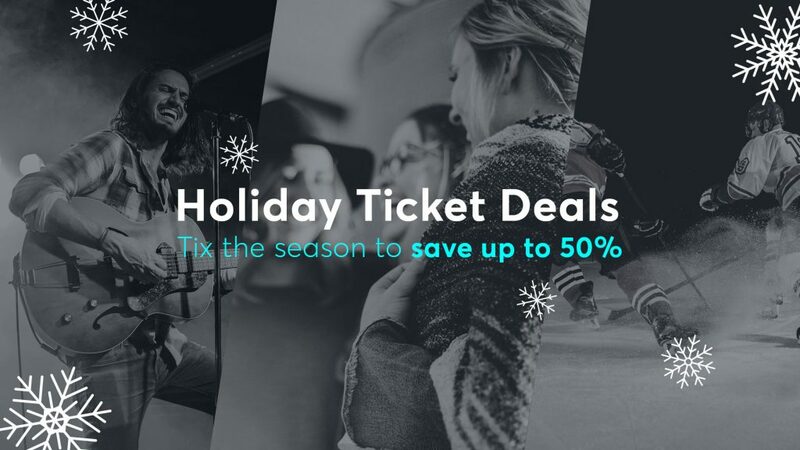 Featured Holiday Ticket Deal offers include The Clintons, Cher, Disturbed, Five Finger Death Punch and Breaking Benjamin, New Kids On The Block: Mixtape Tour, Pink, Weezer and The Pixies, Derek Hough, Dcappella, Peppa Pig, Cole Swindell and Dustin Lynch, Il Divo, Lukas Graham, Mariah Carey, Shinedown, Travis Scott, and more! Save 50% when you buy two tickets (excluding fees). Select an event and choose the “2 For 1 Ticket Offer” option under the “Type” filter. Use offer code TMN241 to show available tickets. Discount is already applied to tickets. Grab 3 friends and save on ticket 4-packs. Select an event and choose the “Me+3 4-Pack Offer” option under the “Type” filter to show available tickets, no passcode required. Discount is already applied to tickets. Sweet events with an even sweeter price tag—$40 and under. No passcode required. Check out even more offers tailored to you, and save up to 50% on tickets with offer code TMNTX. Offers vary by location and inventory is limited, so be sure to turn on your location on the upper right hand corner of our Deals page – both on desktop and within our app – to check out what’s available in your city today.